In both design and execution, the Y520 feels like a first effort. However, the core pitch that makes up the foundation for the Legion brand - gaming laptops for those who don’t need something that can play everything out, just that one special game that they keep coming back to - carries the product a lot further than you'd expect and, even if it's held back by growing pains, it’s still a foundation that could well prove crucial as Lenovo looks to carve out its niche in the gaming space. 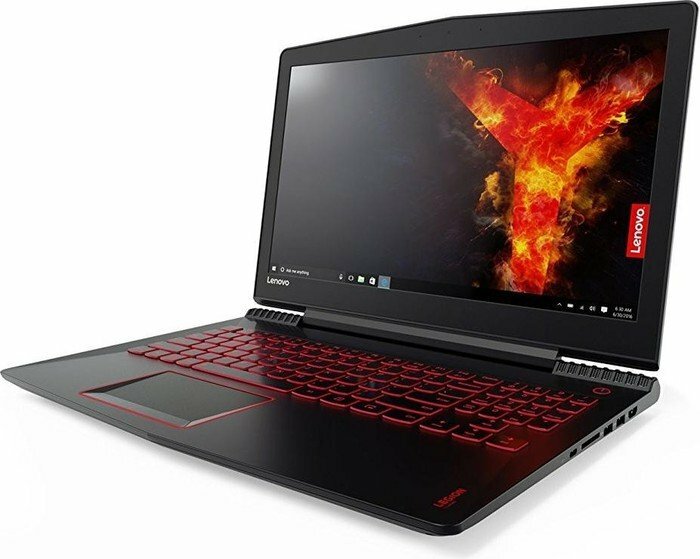 The Lenovo Legion Y520 is a smart move for the company – make a laptop that’s durable and can run most games, and slap on an affordable price tag. At AED 3,099 the Legion Y520 is a great start for someone who wants to game on the go but doesn’t want to buy something super-expensive or bulky. While the Legion Y520 can run most games decently, it’s let down by the mediocre screen and very average battery life. Still, it’s a laptop that’s perfect for first-time gamers who need a kit that can just run games, not matter how pretty they may or may not end up looking. Positive: Comfortable keyboard; high performance; long battery life; good speakers. Negative: Poor display. Positive: Excellent display; good speakers; decent hardware. 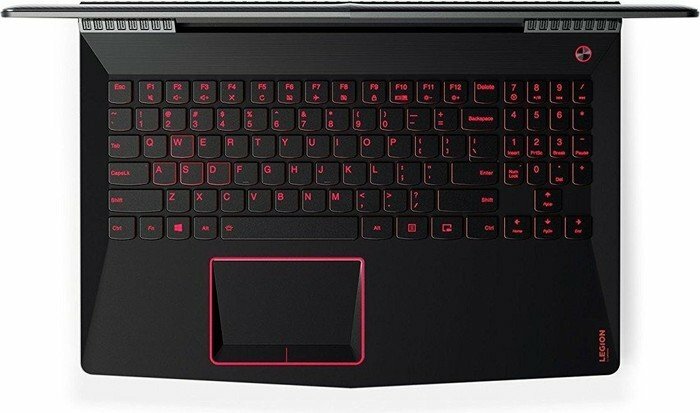 Positive: Slim size; light weight; powerful hardware; high gaming performance; good cooling system; silent; decent speakers; comfortable keyboard and touchpad; excellent display. Negative: Mediocre design; plastic case. 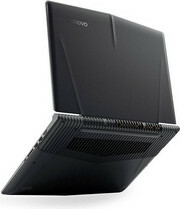 Model: Lenovo has a long tradition with Y notebooks. Previously, they fell under the name IdeaPad. In this generation, however, the manufacturer pushes the new name which is Legion. 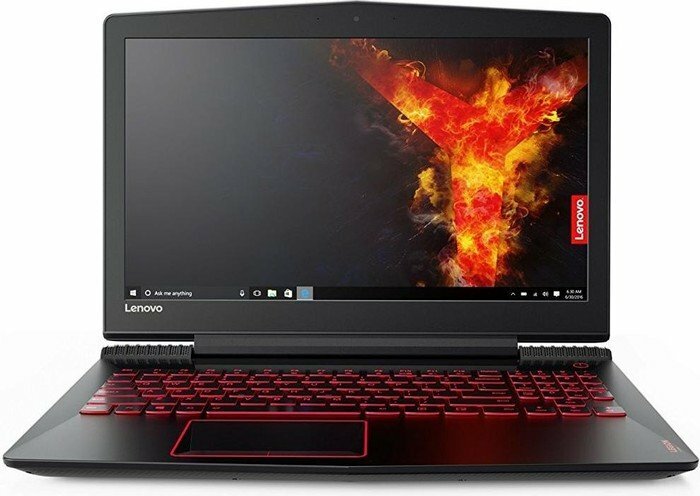 The Lenovo Legion Y520-15IKB-80WK00BTCK is a mid-range gaming notebook, which is a segment that has developed a lot lately and all the big players offer models. In the case of appearance, Lenovo puts the game styles into play mainly after opening the computer, specifically the visual touchpad design and the dark red keystrokes. From the outside, the machine is relatively modest. It has no exhaust ventilation in the style of jet engine, nor does it have an exaggerated logo across the lid. The keyboard surrounds a smooth soft-touch surface, which is comfortable to touch. However, count on the grease from your hands for longer work. The outer side of the lid is plastic and thanks to the coarser sample, no prints or dirt can be seen. The base offers good twist resistance. The bending occurs when the keyboard is pushed harder, but when working and playing, the keyboard is absolutely stable. The lid can be opened at a maximum angle of 135 degress. The notebook can be opened without any problem with one hand without lifting the base with the lid. 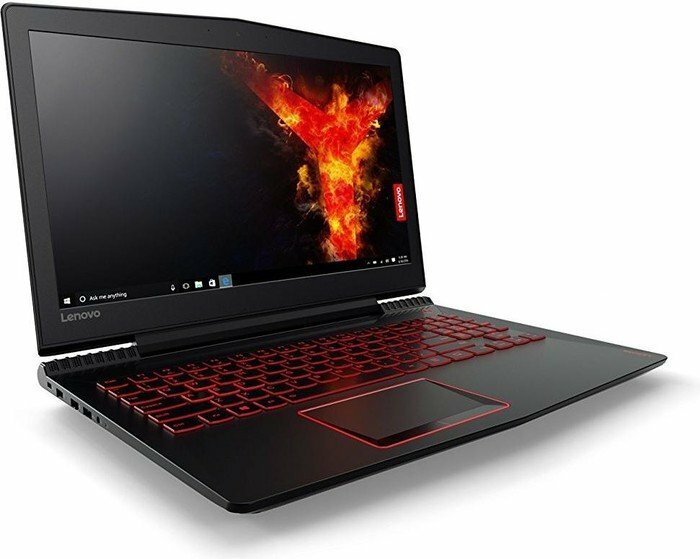 Legion laptops feature Nvidia GeForce graphics cards with Pascal architecture and seventh generation of Intel Core processors. Fast SSDs are always connected via the PCIe interface, and for almost all configurations there is a second data disc. Lenovo also highlights the presence of the Thunderbolt 3 port (via USB-C).